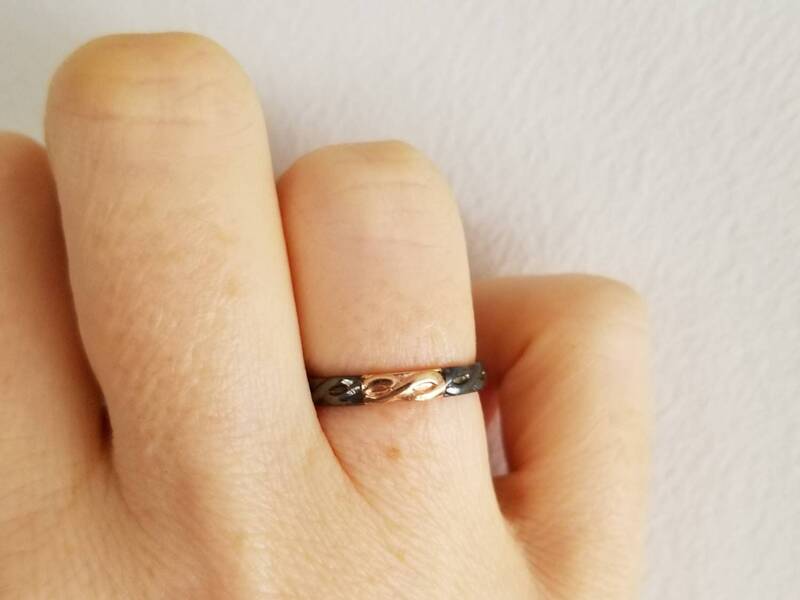 This hand forged sterling silver and 14k gold braid band is 3mm wide. 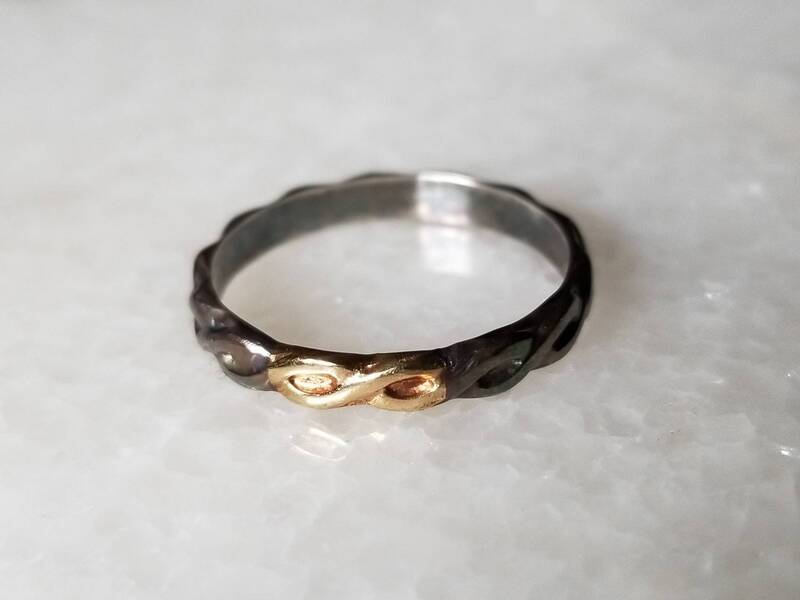 The 14k detaiI represents the infinity symbol. 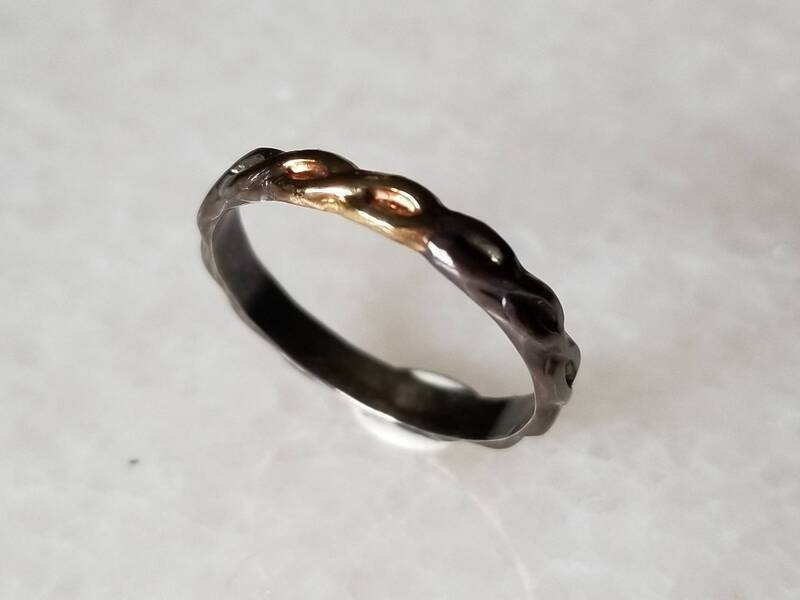 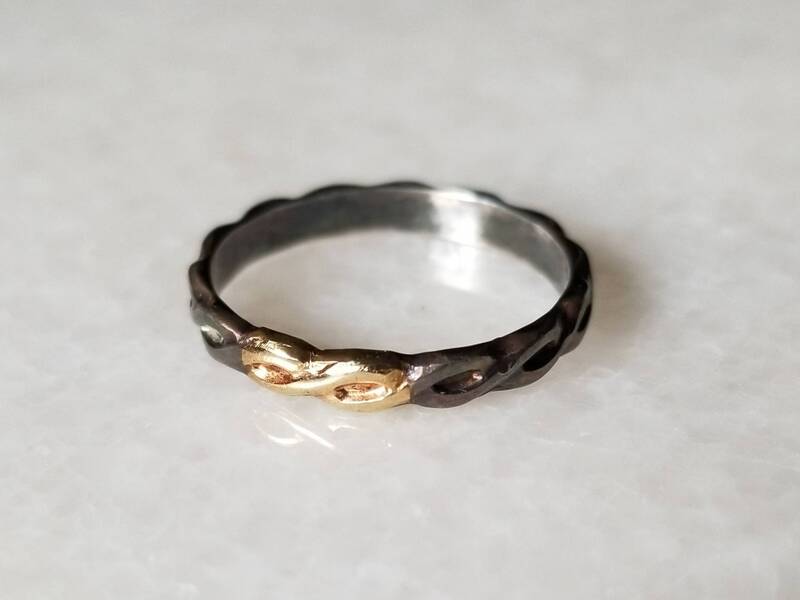 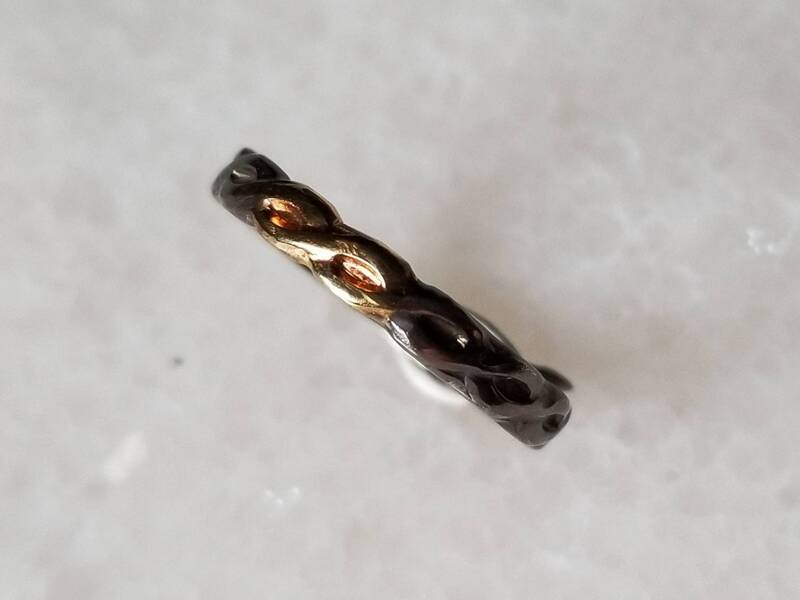 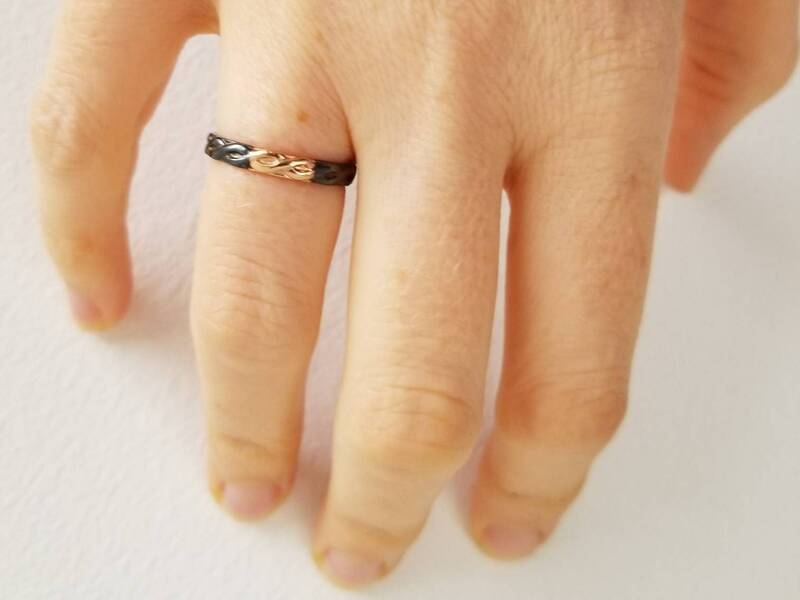 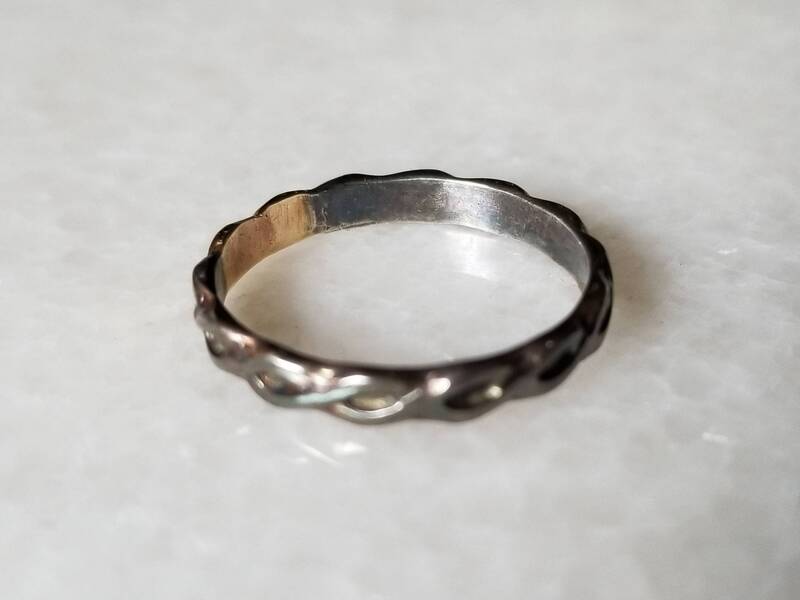 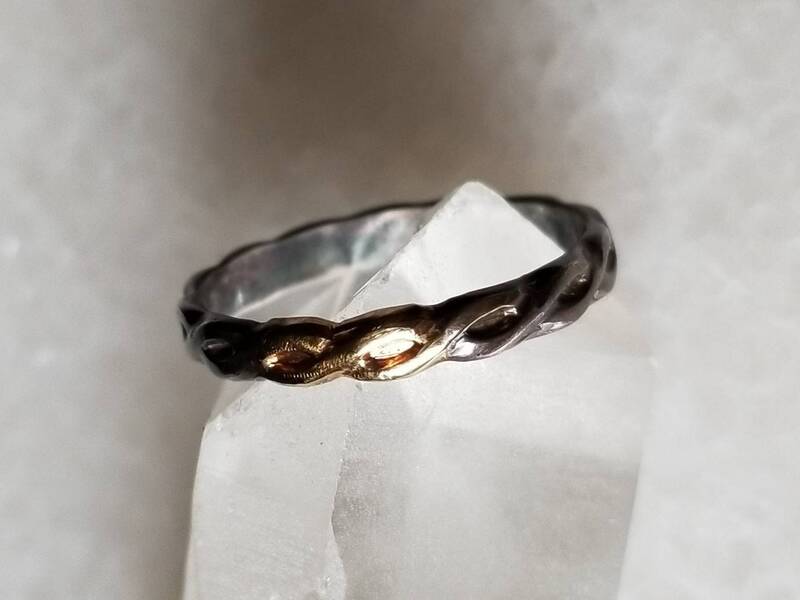 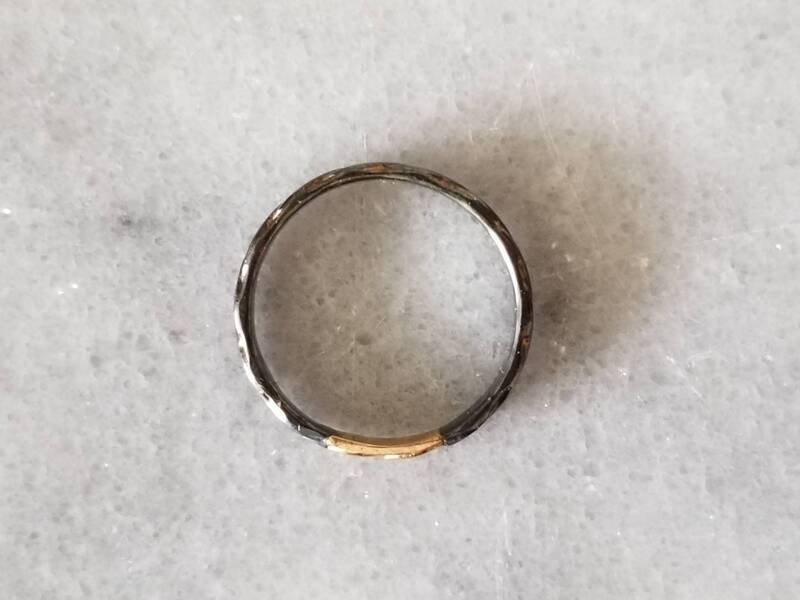 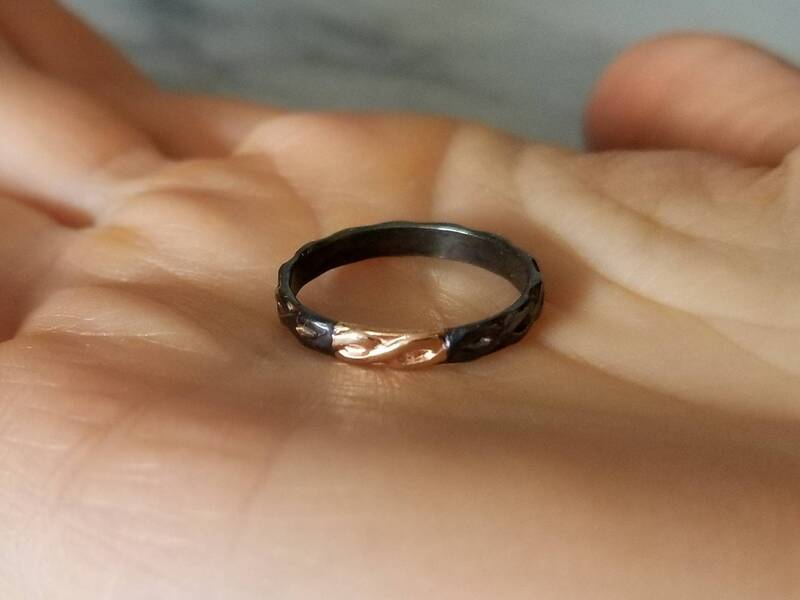 I oxidized the ring to create a striking contrast between the silver and the gold.